Michael Flynn, the man President-elect Donald Trump plans to name as U.S. national security advisor, believes the government is falling behind on cybersecurity. Trump named Flynn to his cabinet on Friday after the former military intelligence leader acted as the top military advisor to Trump's presidential campaign. Flynn previously was director of the Defense Intelligence Agency and has served in U.S. intelligence operations in Afghanistan and Iraq. “We have competitors out there that are rapidly catching up with us,” he said in a speech posted online last year. 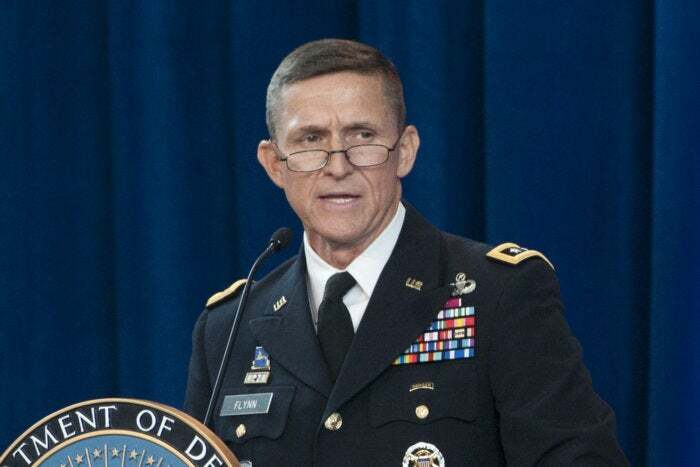 In 2014, after retiring as a general, he started a consulting firm called Flynn Intel Group that specializes in preventing cyber threats for clients. On the campaign trail, Trump said the U.S. government needs to be ready to use offensive cyberweapons in response to hacking attempts from other nations. Flynn said he agreed with that position during a separate interview with the Security Ledger last month. Experts have said a key challenge in retaliatory cyber attacks is attribution. Accurately pinning down the true culprit in any hacking attempt is often difficult. 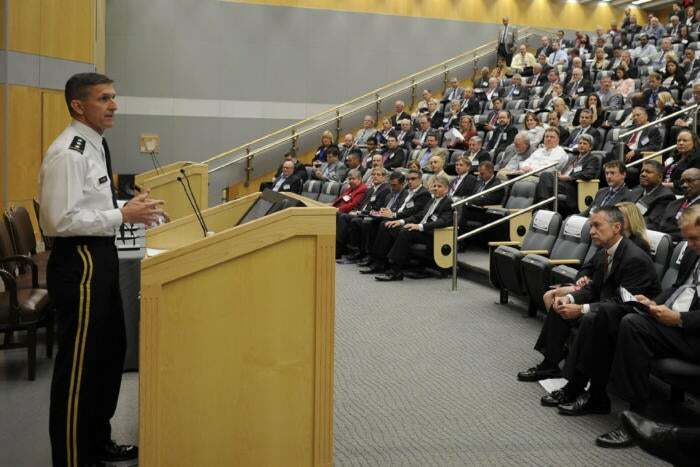 Defense Intelligence Agency Director Lt. Gen. Michael T. Flynn speaks in Washington, D.C., on June 24, 2014. The outgoing Obama administration has also considered cyber retaliation. This became an issue in October when U.S. intelligence agencies blamed Russia for trying to meddle in this year’s presidential election by hacking high-profile political targets. During the presidential campaign, Trump said he was skeptical that Russia was involved. However, Flynn said it made sense that the country would have tried to tamper with a political campaign. “We should not be surprised that a communist state run by a totalitarian dictator wants to expose the weaknesses of capitalism,” he said. In that same interview, Flynn also discussed overhauling the way the U.S. approaches cybersecurity, given the rapid changes to the IT industry. He called for a “storyteller-in-chief” who can explain to the public complicated cyber matters in way everyone can understand. He also advocates a task force that would meet frequently to discuss new legislation and policies on technology. Leaders from the private sector as well as federal and state government would participate in the task force.